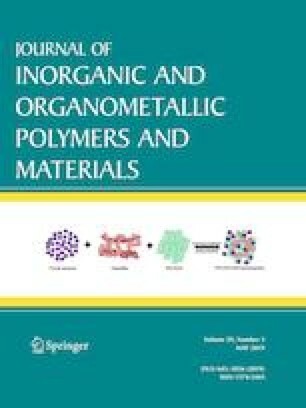 In this work, starch–montmorillonite/polyaniline (St–Mt/PANI) nanocomposite was prepared by in situ polymerization of aniline on the surface of starch–montmorillonite (St–Mt) nanocomposite and was applied for adsorption and removal of Cr(VI) ions from aqueous solution in batch mode. Various characterization techniques such as Fourier transform infrared spectroscopy, X-ray diffraction, thermogravimetric analysis, and scanning electron microscopy were utilized to characterize and evaluate the prepared nanocomposite. In order to verify the optimum conditions for adsorption of Cr(VI) ions by St–Mt nanocomposite, as powder, different parameters affecting the adsorption efficiency including pH of the solution, the initial concentration of Cr(VI) ions, contact time and adsorbent dosage were investigated. According to the results, the best conditions for Cr(VI) removal was obtained as pH 2, C0 = 10 mg L−1, time = 15 min and M = 0.05 g. The adsorption process was well fitted by Langmuir isotherm model and the maximum adsorption capacity was calculated as 208.33 mg g−1. Also, the kinetic adsorption process was well described by the pseudo-second-order kinetic model. The study of thermodynamic parameters confirmed the spontaneous and exothermic nature of adsorption and removal process. Desorption tests revealed the reusability of St–Mt/PANI nanocomposite for three adsorption cycles and so the method is almost cost efficient. The financial support of this research by the University of Tabriz is gratefully acknowledge.